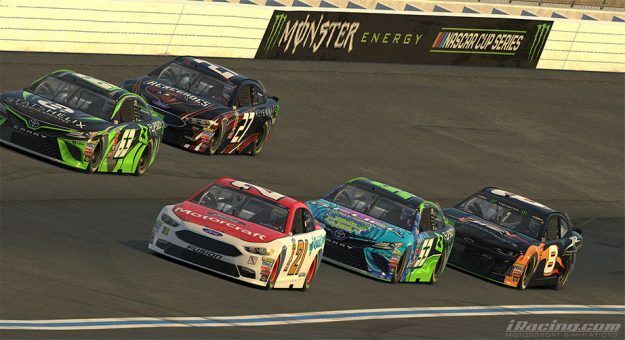 Bedford, MA – In its 10th season, the eNASCAR PEAK Antifreeze iRacing Series will see several exciting changes to the only officially sanctioned NASCAR eSports series. For the first time, official teams – both motorsport organizations and professional eSports teams – will join the series in its upcoming season. The teams will participate in a driver’s draft on January 30th, where they select drivers to represent them in the 2019 season. All of these organizations have shown a genuine interest and commitment to eSports and are excited about the upcoming season. From a modest initial broadcast of the first race in 2009, which Dale Earnhardt Jr. won, to well over 12 million impressions in 2018, the series has come a long way since its inception. The addition of PEAK Antifreeze as the title sponsor in 2013 helped position the series as the premier NASCAR eSports series and the addition of the official teams can only help elevate the series. This upcoming season will also include multi-channel broadcasting on Twitch, YouTube, Facebook, and NASCAR.com, as well as cash prizes for each race along with the championship and the appointment of a NASCAR race director. Teams that join the series after the pre-season draft will be allowed to select previously un-drafted drivers. Interested teams should contact Steve Myers at Steve.Myers@iRacing.com. The series kicks off on February 12 at Daytona International Speedway. Drivers will race on virtual replicas of the Monster Energy NASCAR Cup Series cars and precise digital facsimiles of the most iconic NASCAR tracks raced in the real-world series. Races are Tuesday nights at 9 p.m. ET. All 18 rounds of the eNASCAR PEAK Antifreeze Series will be broadcast live on the iRacing eSports Network (www.youtube.com/iracing-esports-network) as well as on www.iRacing.com and www.nascar.com.